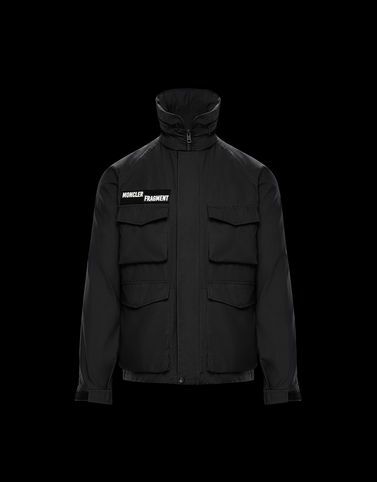 The Jazz is a jacket with clear military inspiration, popular with young concert-goers, and embodies the creative effort of the 7 Moncler Fragment Hiroshi Fujiwara line, collection n°7 of the Moncler Genius project. It features all of the identifying elements of the line, like the patches, embroidery and the collection’s “codes” printed on the sleeve. Hand wash; Do not bleach; Do not tumble dry; Ironing maximum temperature 110°C - without steam; Dry cleaning in tetrachloroethene - mild process; Do not professionally wet clean; Dry flat; Wash separately; Do not twist or wring; Remove detachable accessories before washing; It is advisable to wash and iron the garment on reverse.